"That's it, I've been renewed. It's part of the TARDIS. Without it I couldn't survive." 1966 began with some unfinished business, namely the concluding five episodes of 'The Daleks Masterplan'. 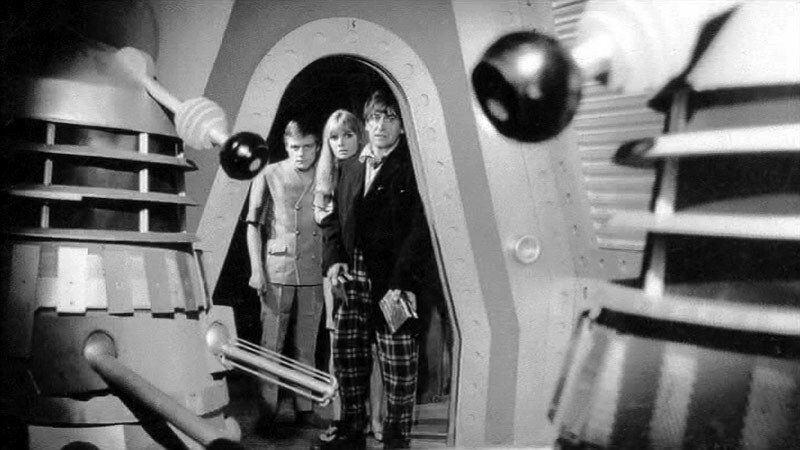 For a few episodes the story resembles the Daleks' previous outing, 'The Chase', as the Doctor and his companions are once again pursued across time and space by the Daleks who want to recover the core to their Time Destructor. 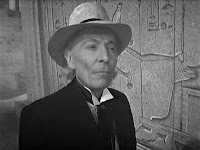 Taking in a New Year's Eve party, a Lords cricket match and a volcanic world, the Doctor is finally cornered in ancient Egypt (where the Meddling Monk pops up once again for some light relief) and is forced to had over the Time Destuctor's power source. Of course this isn't the end of the story as the Doctor has to travel back to where this all started, the planet Kembel in order to stop the Time Destructor once and for all. Although he succeeds, victory is at a price. Fellow traveller, Sara Kingdom is aged to death when the Destructor is switched on and Kembel itself is reduced to lifeless desert world. The conclusion to the most epic story that Doctor Who has produced to that point is decidedly downbeat as a mournful Doctor and Steven, the sole survivors of the story, reflect on what has transpired. After that, you would perhaps expect the production team to follow up with something a little lighter in tone. Instead what viewers got was 'The Massacre'. You can probably tell that this isn't a story that is big on laughs. Set in 16th Century Paris during the days running up to the titular massacre, this story sees Steven take centre stage as the Doctor is absent for much of it, visiting a fellow scientist. 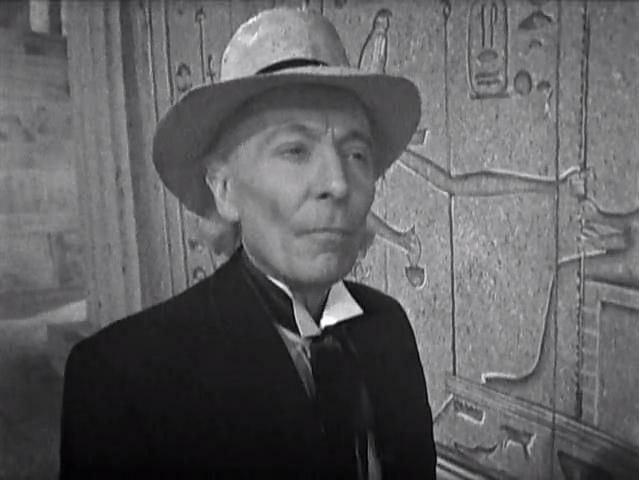 However this isn't an excuse for William Hartnell to take another holiday. 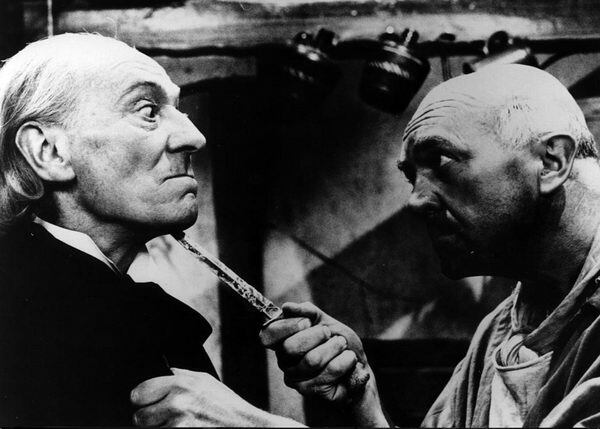 Instead, the Doctor's absence offers Hartnell the chance to play a different role, that of the villainous Abbot of Amboise. The Abbot, not surprisingly, bears a striking resemblance to the Doctor and Steven struggles to understand why his friend has suddenly become a religious zealot who wants to kill as many Huguenots as he can. Needless to say, the Doctor re-appears at the story's climax to set things straight and the pair leave Paris just before the Huguenot massacre takes place. However the story doesn't end there. Steven is incensed at the Doctor for allowing Anne Chaplet - a serving girl that Steven had befriended - to almost certainly go to her death in the massacre. 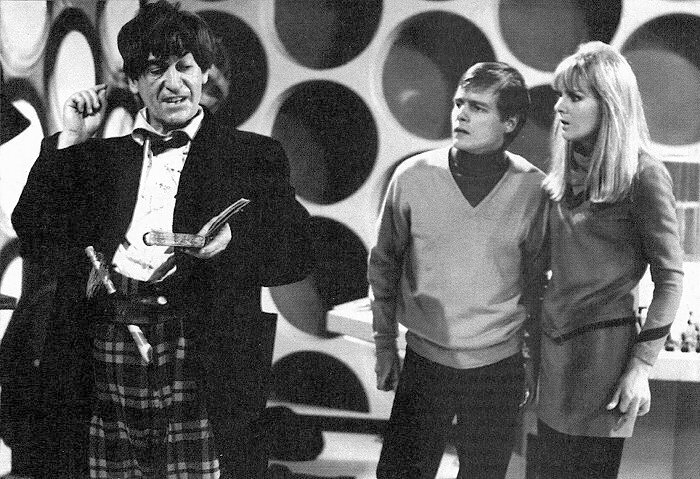 Steven storms out of the TARDIS on Wimbledon Common in 1966, only to return seconds later along with a young woman called Dorothea, or 'Dodo', Chaplet. 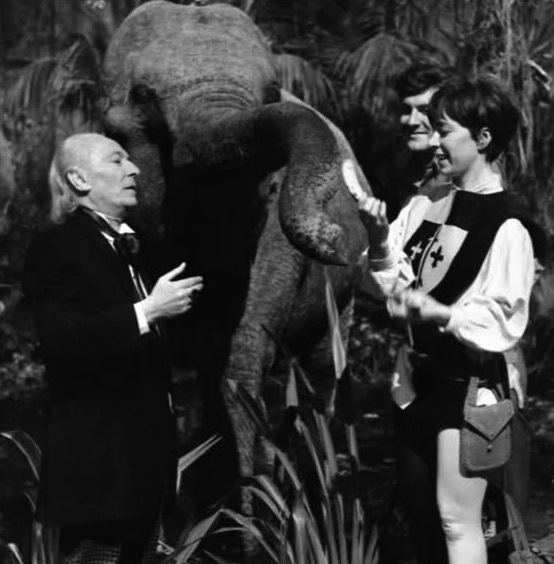 The Doctor accidentally takes off with Dodo still on board and so she ends up joining the TARDIS crew. Steven also seems to forgive the Doctor as it's hinted that Dodo is distantly related to Anne, meaning that Anne most likely survived the massacre. Something of a coincidence perhaps but, for the first time in months, at least we have a story that ends happily. The next story, 'The Ark' starts to see a shift from the more recent dark stories to something a little lighter. This is very much a story of two halves. 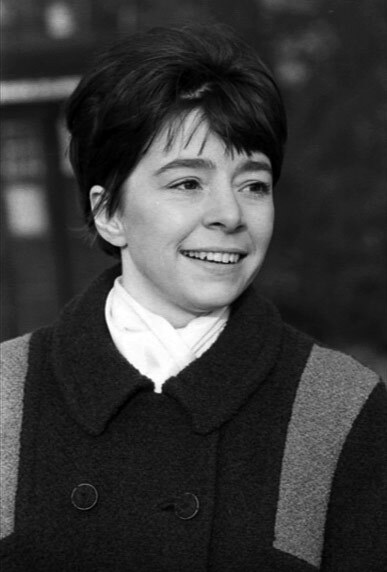 Set on a giant space ark in the distant future, the first half sees the TARDIS crew deal with the outbreak of a deadly illness that they themselves are responsible for, while the second half sees them return to the Ark many hundreds of years later to see how their earlier involvement has affected things. Up next is the 'The Celestial Toymaker' featuring the god-like Toymaker, a being that the Doctor has apparently encountered before. The Toymaker has become something of an iconic character amongst many fans but, it has to be said, in this, his sole TV appearance, he doesn't really get to do much. While Steven and Dodo are forced to play a variety of dangerous parlour games, the Doctor gets to do a complex puzzle called the Trilogic Game. For much of this the Doctor is both in invisible and unable to speak (William Hartnell being on holiday yet again) so Michael Gough, as the Toymaker, is left talking to thin air much of the time. It's to Gough's credit that, despite everything, the Toymaker has remained such a memorable villain who was destined to return in other media. 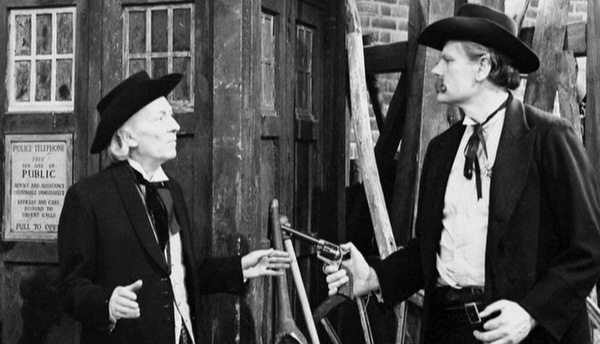 After vanquishing the Toymaker, the Doctor has a date with a dentist as he arrives in Tombstone in 1888 for an appointment with the legendary gunslinger Doc Holliday in 'The Gunfighters'. On the one hand this story is a lot lighter in tone than 'The Massacre', particularly in the opening episodes which see Steven and Dodo being forced to sing and the Doctor constantly calling Wyatt Earp 'Mr Werp'. On the other hand, this is a Western where the likes of gunfights, bar room brawls and lynchings are all commonplace. All the jokes vanish in the final few minutes of this episode as viewers witness the famous gunfight at the OK Corral. 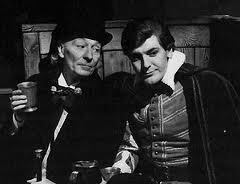 The Doctor meets 'Mr Werp'. 'The War Machines' is a rare appearance in contemporary London for the First Doctor. Somewhat strangely he seems to be well known within the Establishment as he immediately shacks up with one Sir Charles Summer. 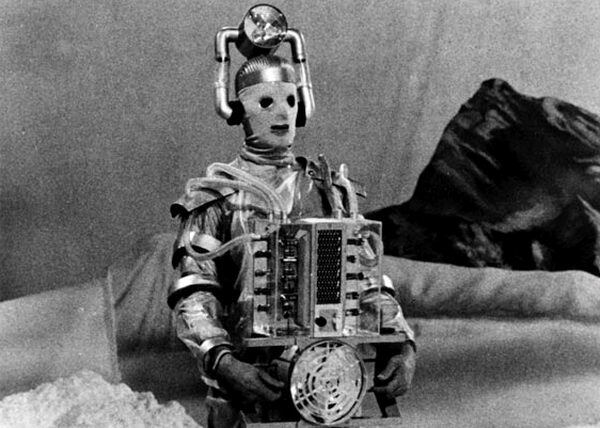 That said, several characters - including evil supercomputer WOTAN - refer to him as 'Doctor Who' in the early episodes so possibly they've all got him mixed up with someone else. The Doctor also makes the acquaitance of two new characters, sailor Ben Jackson and secretary Polly. 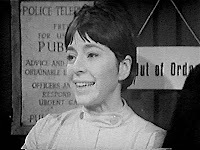 Both characters (Polly in particular) were intended to be more representative of the modern, Swinging Sixties type of young person, something not really seen in the series to date. The Doctor, appropriately meets them in a nightclub where he's, somewhat uncomfortably given recent events, mistaken for Jimmy Saville (although, fortunately, not by name). Ben and Polly act as the Doctor's companions in this story and so it's perhaps not surprising to see them sneaking on board the TARDIS at the end of the final episode. As for Dodo? Oh she leaves part way through episode two of this story, never to be seen again. I've chosen to give her departure as much thought and consideration as the production team at the time did. The Summer holidays meant that it was time for another Doctor Who film at the cinemas. 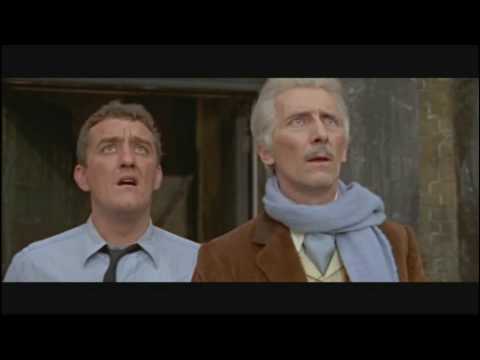 That said, the words 'Doctor' and 'Who' were strangely absent from the title of the 'Daleks: Invasion Earth 2150 AD'. 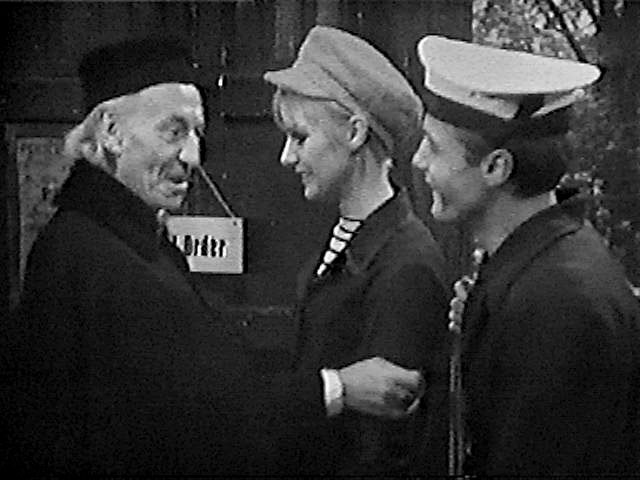 Based on the 'Daleks Invasion of Earth' TV story, Peter Cushing returns as the Doctor along with Roberta Tovey as Susan. Ian and Barbara are gone, however, replaced by the Doctor's niece Louise, and a hapless police constable, Tom Campbell who literally stumbles in to the TARDIS and is taken off into time and space. Tom is played by the one and only Bernard Cribbins who, of course, would go on to appear in the TV series proper many years later. 'The Smugglers' kicks off Doctor Who's fourth season with a trip back in time to 17th Century Cornwall and an encounter with some, well, smugglers. This is, of course, Ben and Polly's first trip in the TARDIS. Like Ian and Barbara, Ben and Polly have been whisked off against their will but, unlike the schoolteachers, they seem a lot less bothered by this turn of events. And so it's farewell to the First Doctor and farewell to William Hartnell, the pioneer who helped to steer the series through those important early days on it's long 50 year journey. And so on to 'Power of the Daleks', where, almost three years after it began, the series has a new man playing the Doctor for the first time. You have to give a lot of credit to Patrick Troughton and the production team of the time for making the brave move to make this Doctor very different to William Hartnell's. 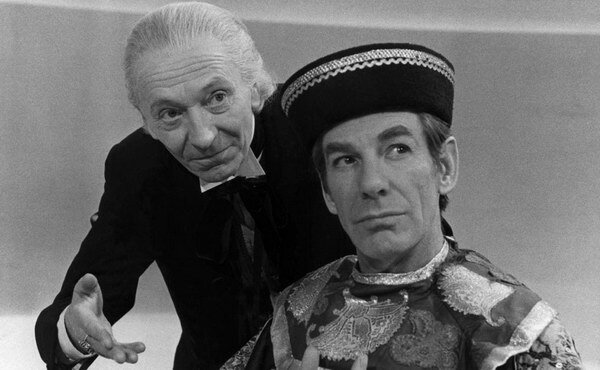 Had they taken the safer route and cast an actor to play the Doctor in the same way as Hartnell then who knows how the series might have fared. Might the series still be around now? Somehow I doubt it. 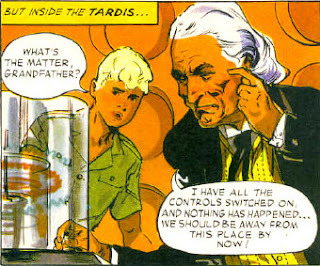 After having become so used to the First Doctor with his little mannerisms and quirks, it is somewhat unsettling to see and hear this strange little man referring to himself as the Doctor - and even more unsettling when he refers to himself in the third person. Fortunately Ben and Polly are there to give the audience some reassurance that they are still watching the same series. Just like the viewers Ben and Polly are struggling to take what has happened and to accept that this new man is still the Doctor. Fortunately it doesn't take too long for them to accept the new Doctor. The Daleks are also around to help ease the viewers' entry into this new era of Doctor Who. However, like the Doctor, these Daleks aren't quite what the viewers might expect. Rather than shouting orders and exterminating people, these Daleks are taking orders and acting as servants to the inhabitants of a human colony. Of course it's all a ruse by the Daleks to infiltrate the colony but the story reinforces just how cunning and intelligent the Daleks can be. The first three episodes of 'The Highlanders rounds out the year as the Doctor, Ben and Polly arrive in 18th Century Scotland in the aftermath of the Battle of Cullodon Moor. This story is notable for being the last 'pure' historical story (ie. a story with no science-fiction elements at all) for fifteen years. 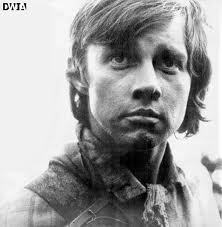 It's also notable for being the introductory story for Jamie McCrimmon, a young Scottish piper who would go on to become the Second Doctor's most enduring companion. But, initially, at least Jamie is extremely distrustful of the Doctor who spends much of these episodes in one disguise or another while he attempts to hoodwink a unscrupulous lawyer who is attempting to sell Scottish POWs into slavery. There were thin pickings in 1966 as far as audio is concerned. The only piece of audio that I'm aware of having been released in this year is a record called 'The Daleks' which had the subtitle: '21 minutes of adventure'. This disc, released by TV Century 21 to tie-in with their Dalek comic strip was basically an edited recording of the final episode of 'The Chase' with additional narration added by David Graham (he who voiced Brains and Parker in 'Thunderbirds'). As a tie-in to the Dalek strip, this works extremely well as the record also includes the Mechanoids who had become the Daleks arch-enemies in the strip. Also, something I missed from 1965's audio overview was that William Hartnell appeared on Desert Island Discs in August of that year. For those who don't know the programme, Desert Island Discs is essentially an interview programme where each week a different guest talks about their life. They also choose 8 pieces of music (usually something that holds a special significance for them) that they would want to have with them if they were stranded on a desert island. They also choose one book and one other item. Hartnell's choices were quite varied, ranging from Louis Armstrong to Beethoven to Flanagan & Allen. The book that he chose was a book on English social history while his one 'luxury' item was cigarettes. Although many of the Desert Island Disc episodes are available to listen to online at the BBC website, sadly this is not one of them as the recording was either lost or wiped. I've also just discovered that future Doctor Jon Pertwee appeared on the programme in 1964. His chosen luxury was a guitar while his book was a book on obesity and constipation! Possibly very useful for a desert island. 1966 seemed to be a bumper year for book. Dalekmania seemed to be fading as, a little surprisingly, the majority of books released this year were Doctor Who related rather than Dalek related. Many of the books released in 1966 were of the activity variety. There were a number of puzzle books, painting books and 'sticker fun' books. The Daleks managed go one better and have a book that combined both painting and puzzles. The three main releases this year were the latest Doctor Who Annual, with it's usual mix of comic strip and short stories; the latest annual Dalek book (this year called 'The Dalek Outer Space Book') and 'Doctor Who and the Invasion from Space'. The Dalek book was the last Dalek annual to be released in the 1960s. 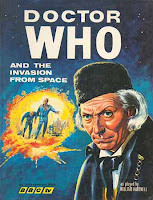 As with the previous two Dalek annuals from 1964 and 1965, this book included a number of short stories, several of which related the exploits of Sara Kingdom, Space Security Agent and, as you recall, briefly a TARDIS crew member in 'The Daleks Masterplan'. 'Doctor Who and the Invasion from Space', meanwhile was unique at the time for being the first book-length piece of Doctor Who prose. Essentially a hardback novella the book features the Doctor travelling with a family he has (reluctantly) rescued from the Great Fire of London before landing on an alien spaceship. It's interesting that no other books like this were published as we don't see another original novel featuring the Doctor for 25 years. Over in comic strip land, 'The Daleks' strip continued for a final year. For the first half of the year the Daleks' war with the Mechanoids continued, reaching its climax when the Daleks directed a newly-formed planet to crash into the Mechanoids' home world. The second half of the year saw, amongst other things, the Daleks encountering humans for the first time and discovering the existence of the planet Earth. The series (which actually concluded in early January 1967) climaxed with the Daleks making preparations to invade...What happened next? You'll have to wait 30 years to find out. Meanwhile, Dr Who, John and Gillian's adventures continued in TV Comic, still in full colour for the first half of the year at least. In May, Bill Mevin was replaced as artist by John Canning and, although the likeness suffered somewhat, his version of the First Doctor seemed far more a man of action than he had previously been depicted. One notable addition to the strip was a race of enemy robots who, unusually for the strip, would return on more than one occasion. These were the Trods, machines who had turned on their human creator and were now ruling the planet Trodos. Essentially cut-price Daleks, as TV Comic didn't at that time own the rights to use the Daleks in their strip, these creatures proved popular enough with readers to ensure a re-match later in the year. In October, the Doctor changed his appearance on TV for the first time however the Second Doctor didn't appear in the TV Comic strip until the last week of December. Interestingly John and Gillian, who are still travelling with him, make no mention of the Doctor's sudden change. Finally, Dell Comics in the United States published a comic book adaptation of the first Peter Cushing Dalek movie from 1965. I think that makes the first Dalek story somewhat unique having appeared in four different mediums: on TV, in the cinema, in print (as the David Whitaker novelisation) and in comics.